The CHIL Fundraising platform gives you complete control, helping you deliver all types of fundraising campaigns. Key Features: Your campaign, your brand: Ease of set up, retain complete control over content, email communications and branding. The data is yours: Dashboard with real-time reporting to maximise conversion rates. Your campaign data is yours, always. All-in-one fundraising: Manage all your fundraising events: P2P campaigns, ticketed events and supporter pages. All in one platform. Secure & scalable: PCI compliant, advanced fraud solutions and scalable to handle any volume of traffic. Focus on conversions: Mobile-ready, intuitive and user-friendly: our cutting-edge UX and UI will maximise your return. Support is in our DNA: We pride ourselves on the relationships we build with our charity partners. 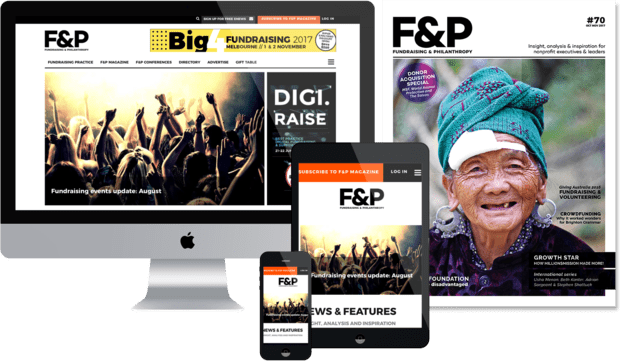 GoFundraise provides online fundraising solutions for charities and causes, empowering organisations to take control of their online fundraising quickly and easily. GoFundraise provides online fundraising solutions for charities and causes, empowering organisations to take control of their online fundraising quickly and easily. Our dedicated team of fundraising specialists is passionate about making giving a bigger part of your future. Raise more funds through leveraging online, minimising your resource requirements and reducing your cost per dollar of fundraising. Our easy-to-use processes & technology provides both beginners and advanced users with fully customisable solutions. Products include Event Creator, and Event Creator Plus Ticketing and more. Phone today for a complimentary consultation on 1300 889 272.